The first Father's Day episode of a two part series with the every funny, dynamic duo of Tausha Hoyt (sassystyleredesign.com) and ME. 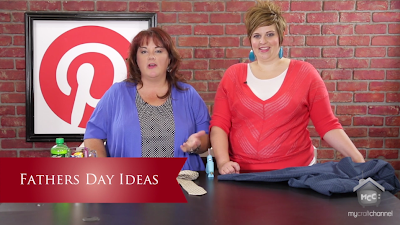 In this episode you will learn some quick and easy ideas for Father's Day including how to create your own gift bag from a men's dress shirt. But I recommend sewing it, instead of Tausha's old standby of hot gluing it together. Check out why "we" think we're funny!! 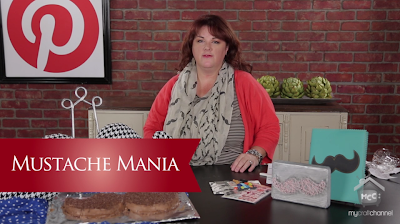 What better reason to host a party then to share something you and your friends all love, like Pinterest. 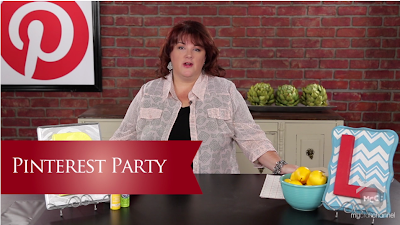 You will learn ideas and tips on hosting your own pinterest party asI talk about my Pinterest Birthday Party on My Craft Channel and share pins of other How to Host a Pinterest Party and other fun ideas. You probably played with them as a kid and remember how much fun it is to shrink down your own artwork. 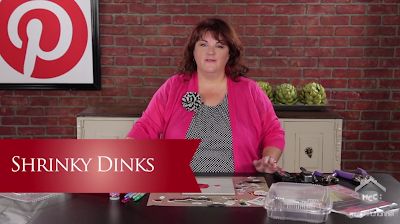 But did you know that you can run shrinky dink film through your inkjet printer, stamp in it or even create your own shrinky dink sheets with recycled containers? And you don't need to cook them in your oven any more either! So be sure to check out my latest Inspired by Pinterest Shrinky Dink episode today on My Craft Channel. Hop on board the "mustache mania" that sweeping through you favorite stores, whether it's a shirt or necklace mustaches are hot. And they're hot on Pinterest too. Join me today on My Craft Channel as I feature some of my favorite "mustache" finds on Pinterest. I will even be featuring projects from home decor to food.